Planning can be defined as ‘’thinking ahead with the aim to determine what must be done, when it must be done, how it must be done, and who should do it” in very simple term, planning the closes the gap between where the business is standing now (its present state) and where the business wants to be in the future (in two years, five years, or ten years from now). This means that time is very important in planning because plans are always made for a given time period since no business can afford to be planning without an end in mind. Planning means setting business goals or targets and taking decision in advance, as to the best way to achieve these goals or target. Put in another way, planning involves setting objectives and deciding on an action plan needed to realize the objective. It is not possible to plan without a goal in mind. It is after we set our objectives that we use planning to help the business decide which methods, procedures or the steps we must take for the business to achieve those objectives that we have set. In planning we must also address situations where things don’t go the way we first thought they would or if things are not going in the direction we anticipated them to go. This means that in our initial planning, we must also plan what to do if things do not go the way they should. Some people refer to this as a ‘Plan B’ which can also be called an alternative plan, a backup plan or a contingency plan. For example, if a company plans to produce 160 pair of shoes in 2 months. This means that in one month it must be able to produce 80 pairs of shoes or 40 pair of shoes in 2 weeks. If by the first 2 weeks it finds out that only 16 pair of shoe were manufactured, it must make changes to the plan to help realize the final objectives of 160 pairs. This is important because if nothing is done, at the rate of 16 shoes every 2 weeks, the company will end up producing only 64 shoes at the end of 2 months. Planning is considered as the very first function which must be performed by all managers. It would be almost impossible for a manager to carry out any other function if he/she does not first take time to plan. This is so because every business objective is set during planning after which every business activity which is performed is guided towards achieving the set objective. For instance, when performing the function of organizing, a manager may assign responsibility to his employees. The level responsibility and authority that the manager gives to his subordinates would depend, in most cases, on the objectives which the manager plans to achieve. And these objectives must be first determined in the planning stage. In the same way when the manager is performing his staffing functions, he appoints employees to various vacant position. Here again the number and kind of staff appointed would depend largely on the objectives which the business seeks to achieve, which must be first set out in the plan. So planning always takes first place in the function of management. 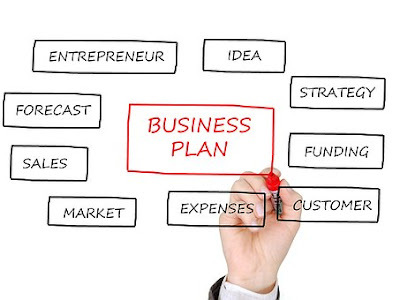 Managing a business requires planning at all levels. Contrary to what is often assumed, planning is not only done at the top management level. Making plans for the whole business and formulating the company’s strategies and policies is the duty of top management. However, departmental managers also formulate plans for their departments. Similarly, lower level managers also do some planning at their level; all with the aim of making sure the day-to-day business activities support the objectives set by top management. The definition of planning sometimes leaves us thinking that planning is done, completed and then we go on to implement those plans. Quite on the contrary, planning is a continuous exercise. In other words, business managers do not stop planning until their objective is achieved. This is so because from the beginning, plans are made based on assumptions that we expect may be true. However, we all know that changes could occur in the business environment. When this happens, we must take a look at our original plans and make some changes to it so that we may be able to still achieve our objectives, in spite of the changes that have occurred. This sometimes must be done as often as there are changes in the business environment. For example, if a plan was made to take advantage of a rise in demand for fast food and then soon after a well-known doctor comes on TV to say that fast foods have been found to cause certain kinds of life threatening illnesses, one would expect demand for fast food would go down. A business planner must make changes to plans regarding which other healthier substitute to fast food are there to be offered to customers, or make some changes as to how much he wants to invest in fast food production. Planning is mostly needed when there are various ways in which the business can achieve its objectives yet it must select what, in the view of the manager, is the best option or the option it considers as most suitable. This means that planning involves making a decision as to which alternative best suits the business in aiming to achieve its objectives. If there are no alternative means of achieving business goals, there would be no need to plan, all the manager must do is simply follow the only way possible. For example, if the government should make a law that all new machines must be imported through the state or government agency responsible for making sure that worn out machines don’t get into the country, then business managers will not have a choice but to import through that government agency. However, if there are several import agencies, then the business manager must start by looking at the prices charged by each agency, how reliable they are, what these agencies offer in case the machines get damaged do they provide insurance cover for the machines they handle, how long would it take for each of them to deliver and so on. Deciding on a particular agency among all the others would require planning. Planning is a mental process which involves the need to think deeply and critically about a set of best options in order to arrive at a decision. It requires higher level of thinking. This is one reason why planning is separated from the day-to-day activities of the business. To be able to plan effectively, one has to make assumptions that certain factors in the business environment would not change. It also requires making some predictions about what would happen if all things are equal. This is done by critically analyzing the business environment. Based on these analysis, various alternative means by which the business can achieve its objectives are weighed and the best option decided on. This task demands intelligence and intellectual ability on the part of the manager.